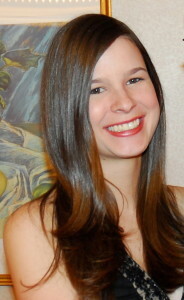 I hope everyone had a nice and relaxing Memorial Day Weekend! Summer is upon is! With summer, comes burgers. In the past few months, I’ve been cooking up lots of non-beef burgers. Not only do I find them more fun to make because you can be more creative, I actually prefer all of them over regular beef burgers! Me prefer a vegetarian burger over beef burgers? Who knew! If you’ve stuck your nose up at vegetarian burgers before, I really encourage you to make your own at home and see what you think. Every frozen veggie burger that I’ve tried I’ve thought was disgusting. And each one that I’ve made myself has been incredibly delicious! And they’re healthier too! We’ve made eggplant meatballs before and I’ve loved them, so I decided to make them into burgers and see how they turned out. Result: success! They’re pretty easy to make – give them a try! First, preheat your oven to 450 and slice your eggplant in 1/4 inch pieces. Transfer the eggplant to a greased baking sheet, sprinkle with salt and pepper, and bake at 450 for 20 minutes, flipping halfway through. In the meantime, dice up an onion and heat 1 teaspoon of olive oil over medium heat. Add the onion and cook for about 10 minutes, until softened. When the vegetables are done cooking, add the eggplant, breadcrumbs and egg to a food processor and blend until smooth. Then add the onion, garlic and parmesan and blend until well combined. Using your hands, form patties with the mixture. Then heat up an oiled grill pan over medium high heat and cook the patties for about 6 minutes on each side, until cooked through. Serve with your favorite buns and condiments and enjoy! Preheat your oven to 450. 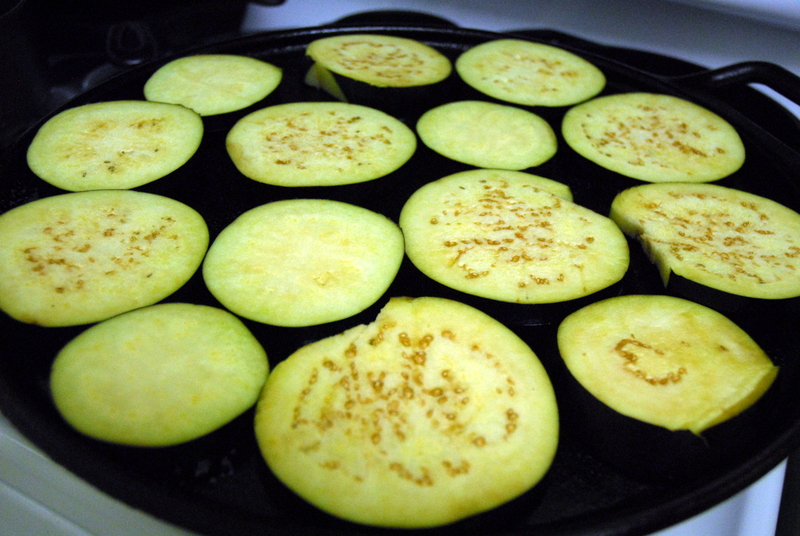 Slice your eggplant into 1/4 inch pieces and transfer to a greased baking sheet. Sprinkle the eggplant with a little salt and pepper. Roast the eggplant for about 20 minutes, flipping halfway through. While the eggplant is roasting, dice your onion and heat up one teaspooon of olive oil in a pan over medium heat. 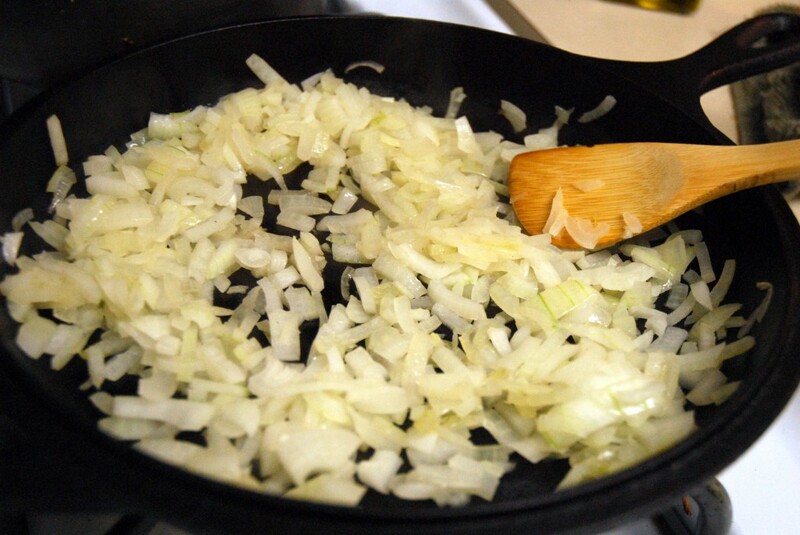 Add the diced onion and cook for about 10 minutes, until softened. 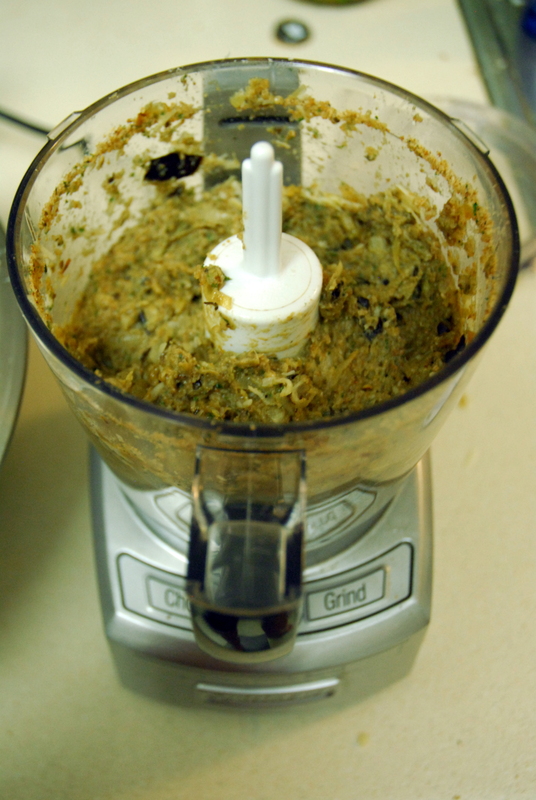 When the vegetables are done, add the eggplant, breadcrumbs and egg to your food processor and blend until smooth. Then add the onion, garlic and parmesan and blend until well combined. If necessary, stir the mixture as well. 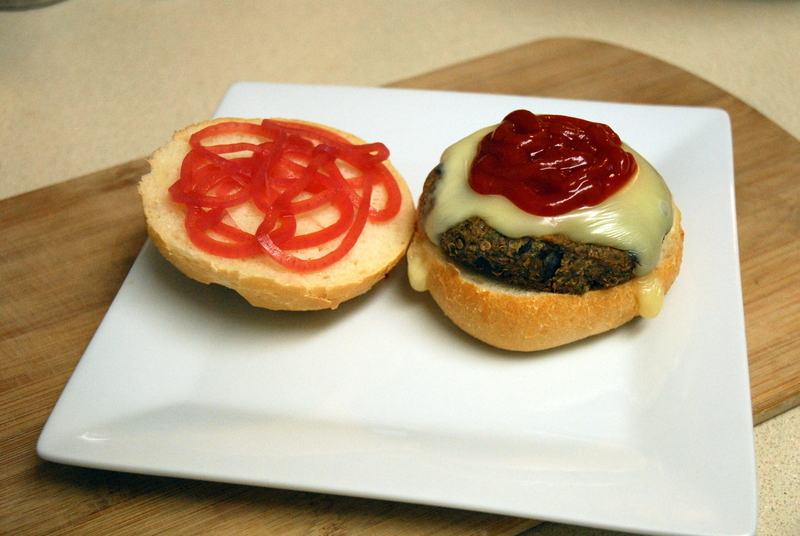 With you hands, take a handful fo the mixture and form it into a pattie. The size and thickness of the burger are up to you! 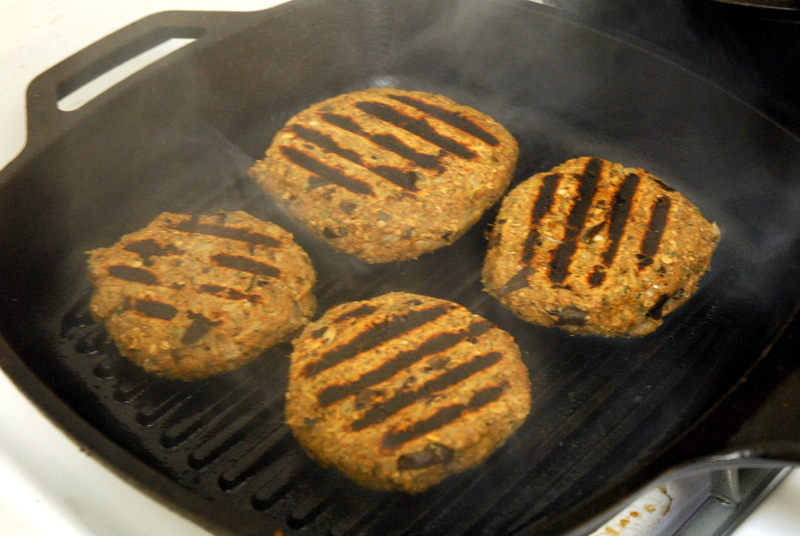 When the patties have been formed, heat an oiled grill pan (or grill) to medium high heat. Cook the patties for about 6 minutes on each side, until cooked through. 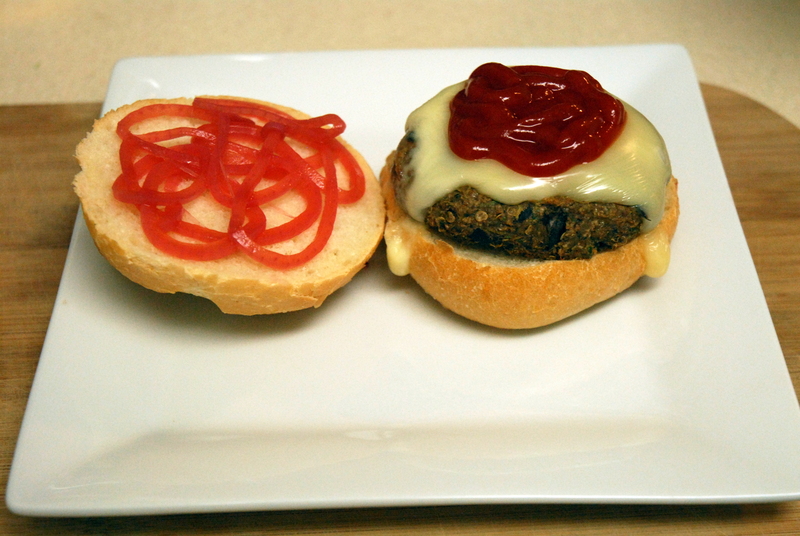 This entry was posted in Recipes, Vegetarian and tagged burgers, eggplant, vegetarian. Bookmark the permalink. I love how meaty eggplant can taste in recipes like these. I’m definitely trying these out once I get into my new place and am allowed to get groceries again! I hope you’re moving soon – I couldn’t survive without cooking for more than a few days! Totally just bookmarked this recipe because I adore eggplants! I love them too – and they really help make the burger more “meaty”!